Picture Research - What is it? How do I licence it? What is the correct caption? Picture Research, also called Photo Buying, is the skill of finding images for newspapers, magazines, books, TV, video, and new media. It is an exciting and interesting job, though highly pressured at times. With the explosion of new media with a voracious need for images, there are more opportunities than ever for picture researchers, and the internet allows the work to be done from anywhere at any time, which means that it can be a useful job for people who have responsibilities such as small children. Picture research is interesting, stimulating and fulfilling. No two projects are the same. It demands a wide range of skills: initiative, visual flair, knowledge of sources, organisation, negotiation, lateral thinking and common sense. The picture researcher is usually involved in a project from the very start and will have a crucial influence on how the end-product is illustrated. This is the only course of its kind in the world and has been giving aspiring picture researchers/photo buyers/picture editors from all over the world training for over ten years. It is a distillation of all the knowledge of Julian Jackson, who has worked in the industry for over 30 years as a picture researcher, photographer, writer and digital consultant. It also benefits from the contributions of many expert picture researchers who offered their advice on the new edition. Course materials: There are seven modules, containing a total of 36 units, with 20 self-check exercises, plus five marked assignments. The assignments are especially designed to mimic real-life situations as closely as possible, ensuring that you will be fully prepared for freelance or in-house work. The final part of the course includes career advice and three appendices, including three case studies from expert picture researchers which give you an idea what their working lives are like. Julian Jackson, the author of this course, will be your tutor. Certificate: On successful completion of the course, you will receive a certificate, showing the level of pass you have achieved (pass, merit or distinction). You will be eligible to enter your details on this site's Freelance Picture Researcher Database. Special Bonus: all course students will receive free ebook copies of The Picture Researcher's Handbook (worth £24.99) and free access to Julian Jackson's Webinars. I searched online and found Julian Jackson's course. It was ideal for me and I found it very interesting and challenging. Each assignment was very different and covered each aspect of the industry. I would highly recommend it to anyone looking to do a course on this subject. I finished the course with a distinction which I was very happy with. I found the course to be enjoyable as well as informative. The way it's written also gives you a feel of the reality of being a picture researcher. You are aware that the author has 'lived through' the experiences, situations and issues mentioned. The course is presented in a clear user friendly way with a logical sequence to the topics covered. The course costs £295 for UK Students and £330 for Non-UK students, to cover the cost of increased postage to other countries. 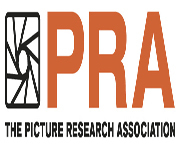 This course has been approved by the Picture Research Association. © Julian Jackson 2013, all rights reserved, the moral right of the author is asserted.